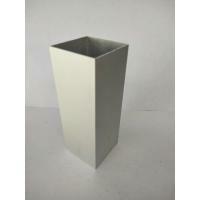 Delivery Time: Within 15-25 days after receive deposit and and moulds are passed. Annealing Treatment T4, T5, T52, T6, etc. 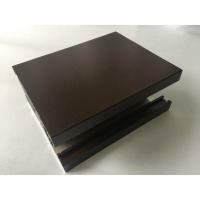 Electrophoresis coating and coating method have been used in industrial applications since the 1960s, and the use of electrophoresis coating can be used in the whole closed circulation system, and the utilization rate of coating can be up to 95%. Electrophoresis coating is a membrane of water-soluble or water-dispersible ionic polymers, which can be used as an anode or as a cathode. 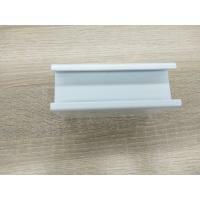 Electrophoresis coating can be divided into anodic electrophoresis paint and cathodic electrophoretic coating according to the coated workpiece electrode. The ions in the water can be divided into anionic electrophoresis coatings and cationic electrophoretic coatings. The cathodic electrophoretic coating can be divided into single group of electrophoresis coatings and dual-component electrophoretic coatings according to the water dispersion. 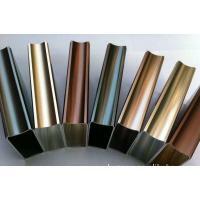 Film thickness can be divided into film type, medium thickness film and thick film cathodic electrophoretic coating. 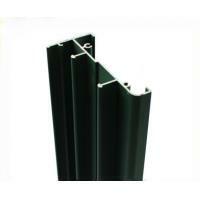 Principle 1, electrophoresis is one of the most effective methods for coating metal workpieces. Electrophoretic painting is to have been painted on the conductivity of the material in the full of water to dilute the concentration of low electrophoretic coating as anode or cathode in the tank, the other set in the tank and its corresponding cathode (or anode), in the indirect communication between dc after a period of time, in the coated surface sedimentary out even close, not dissolved by water coating method of a kind of special coating. 2. The electrophoretic coating process is accompanied by four chemical physical changes, namely electrolysis, electrophoresis, electrodeposition and electroosmosis. (1) in the colloidal solution, scattered charged colloid ions in the medium, under the effect of dc field, the move towards electrode with heterogeneous charge, because of the gel ion resistance by dispersing medium, in the process of movement relative to the true solution ion migration resistance in an electric field is much larger, movement speed is slow, like bathing in the dispersion medium, is called electrophoresis. The speed of colloidal electrophoresis depends on the double layer structure of the electric field strength and the dispersion of water soluble resin. (2) electrolysis: when the direct current field is applied to the electrolyte aqueous solution, the water will be electrolytic in the electric field, and the oxygen will be precipitated out in the anode area and the hydrogen will be precipitated out of the cathode. Anodic reaction: OH ˉ 2 - write O2 + 2 h + 4 e cathodic reaction: 1/2 h2 + H2O + e - write OH, electrophoresis, the higher the content of impurity ions in the body, is the greater the conductivity system, that is, the more the electrolysis of water is intense, such as a large number of gas, to escape the electrode resin when the deposit will be mixed pores, lead to coating pinhole and rough. Therefore, in the electrophoretic coating process should try to prevent impurity ions into electrophoresis fluid to ensure the quality of coating. (3) Electrodeposition in the electrophoretic painting, electrically charged particles (resin and yan, material) under the effect of electric field to reach the opposite charge electrodes, be H (anode electrophoresis) OH (cathode electrophoresis) neutralization, become insoluble in water film, this film is very stable, dense and uniform. This process is called electrodeposition. As in anode electrophoresis, when the negatively charged water soluble resin particles under the effect of dc field arrived at anode) (the coated workpiece, the electrodeposition reactions occur, the first is OH discharge: OH ˉ 2 - write O2 + 2 h + 4 eOH + H = 2 H2O to anode area around H accumulation as a result of the reaction, the local lower PH, the excessive H in RCOO resin anion reaction, namely the resin precipitation and deposition in the anode) (the coated workpiece surface: RCOO + H - left ROOOH down. (4) electroosmosis: this is a phenomenon that the dispersing medium moves in the opposite direction to the electrophoresis particle. Electroosmosis effect in the electrophoretic coating process is due to the adsorption on anodic coatings of hydration cation, action to move toward the negative electrode by electric field of the seepage force, thus through the deposition coating, the coating deposition significantly reduce the water content, which is about 5-15%, can be directly baking, coating with dense structure level off is smooth. 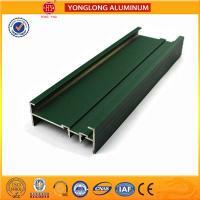 Guangdong Yong long Aluminum Co., Ltd. is located in the No. 10 (Sanjiang market) of Leping Town, Sanshui District, Foshan. The company was founded in 1997. 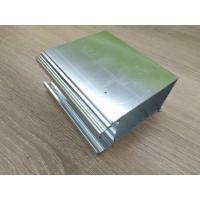 It is a comprehensive and large-scale aluminum profile enterprise integrating the research and development, production and sales of aluminum alloy profiles. 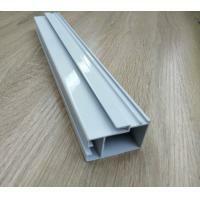 The company is leading the "Hongying" brand. Strong comprehensive strength and excellent service make Yong long "Hongying" sell well all over the country and exported to Southeast Asia, Europe, South America and many other countries. 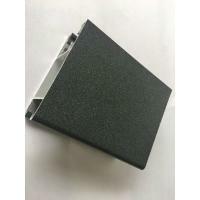 The company has 900 employees, including 120 high and intermediate engineering technology and management personnel, with advanced and perfect design, production, testing and testing methods as well as perfect sales network and after-sales service system. The products sell well in more than 10 national and foreign ports, Australia and Taiwan areas. Please tell us the information below, and we will give the best suggestion to you ! 1. 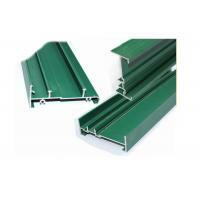 Where you intend to use the aluminium profiles? 2. 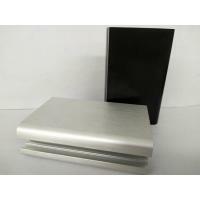 If you have the estrusion drawing, send us and we develop the correspondence mold. 3. Which color you want or tell us the architectural style you like. 4. Purchase quantity. It will convenient us to give you the best price. Choose us & contact us ! 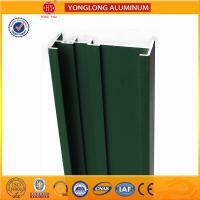 Guangdong yong long aluminum co.,LTD. is located in Lishui District, Foshan City, Leping Group on the 10th, the company was founded in 1997, is set aluminum profile research and development, production and sales as one of the integrated large-scale aluminum enterprises, "Hong surplus" brand. Strong comprehensive strength and quality of service, so that Wing Lung "Hong Ying" selling all over the country, exports to the United Kingdom, the United States, Australia, Canada, Russia and other countries. After years of development, the company passed the ISO9001: 2000 quality system certification, the international standard product certification. Yonglong Aluminum has won the "Guangdong Province Famous Brand", "Guangdong Province Famous Brand", "ISO14001 Environmental Management System Certification", "OHSMS18001 Occupational Health and Safety Management System Certification", "Adopting International Standard Products" Is "," China's quality products "and other certificates. Companies adhere to the scientific concept of development, by strengthening the comprehensive management and increase innovation, and continuously enhance the energy-saving emission reduction enterprises to accelerate into the environment-friendly modern enterprise list. The company insisted: "unity and progress, pioneering and innovative, high quality of this, service to win" business purposes, the new full cooperation with customers, Gongtuo career, create a better future.